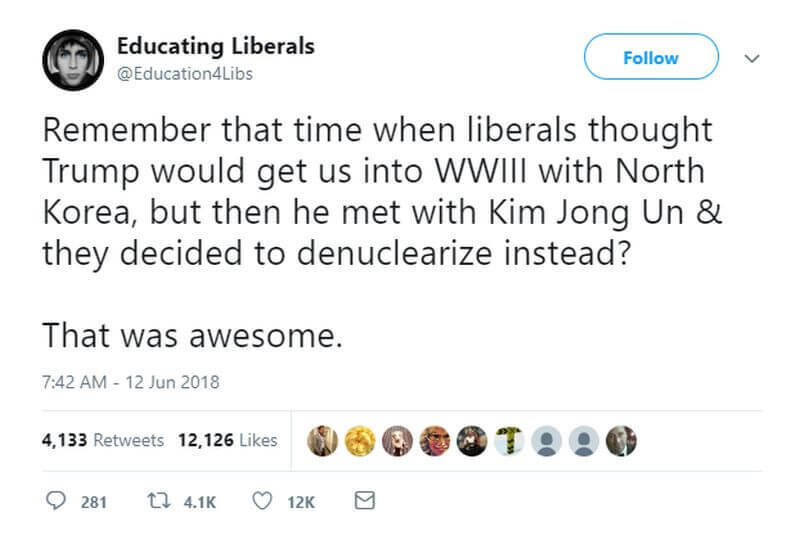 Remember that time when liberals thought Trump would get us into WWIII with North Korea, but then he met with Kim Jong Un & they decided to denuclearize instead? 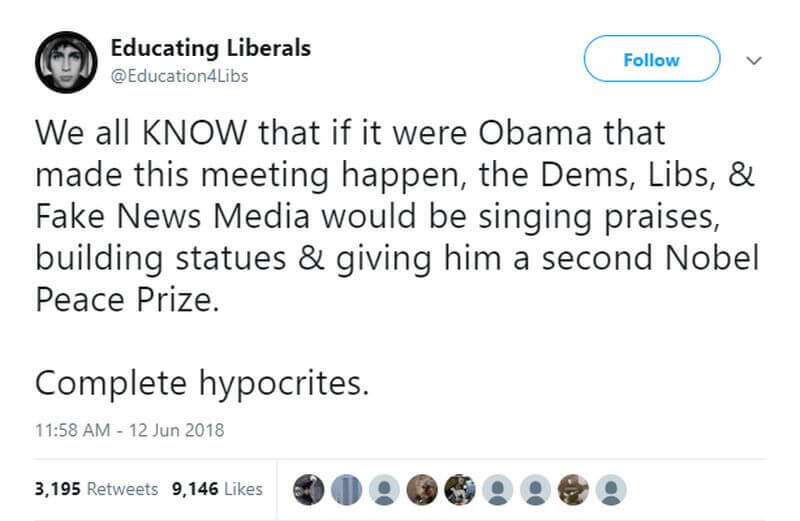 The Democrats were claiming that Trump was going to get us into WWIII over North Korea yet the historic summit today shows how little they know. Scarborough was downright bitter in his reaction to the summit. At least other media outlets didn’t go as far as MSNBC in trying to downplay the significance of the Trump / Kim summit.